The NDSU Marksmanship Club air rifle and smallbore rifle teams traveled over 1800 miles by van down to compete in the 2019 National Collegiate Championship Rifle Matches, hosted by the US Army Marksmanship Unit at their ranges in Ft. Benning, GA on March 23 & 24, 2019. Rachel Voigt, a freshman in Animal Science from Halliday, ND. Each team is composed of 5 members, and the team score is the total of the top 4 individual shooting members. The air rifle match is a 60 shot match with all shots fired from the standing position at 10 meters indoors. To fire a 10, the pellet must cut the 10 dot which is roughly twice the size of the period at the end of this sentence. The air rifle team (Brandon – 587, Amanda – 576, Tyler – 563, Sarah – 554) finished with a score of 2280 points out of a possible 2400 points. This earned the NDSU rifle team a 2nd place finish. As individuals in air rifle, Brandon is tournament champion with his score of 587. Amanda finished 5th overall, and Tyler was 17th, while Sarah finished 26th. The smallbore rifle match is a 3 position match with 20 shots from prone, 20 shots from standing and 20 shots from kneeling all at 50 meters outdoors. The smallbore rifle team (Brandon – 564, Amanda – 540, Tyler – 548, Rachel – 515) finished with a team score of 2167 out of a possible 2400 points. This earned the team 3rd place. As individuals in the smallbore rifle match, Brandon was tied for first place, but finished 2nd with his 564 after the tie breaker. Tyler was 9th overall, and Amanda finished 15th while Rachel finished in 40th place. The combined tournament champion is determined by the total of the individual and team scores in the air rifle and smallbore rifle matches. The NDSU team ended in a tie for second place with Grand Valley State University of Michigan at 4447, and after the tie breaker, NDSU was 3rd overall. Individually, Brandon Alexander won the overall championship with his combined score of 1151, fully 9 points ahead of the second place finisher. The tournament awards included recognition of the 1st Club Team All American Team and individuals determined by their scores in this match plus their scores in the Sectional championship matches fired earlier in the year. The NDSU rifle team earned the trophy for 2nd Club Team in air rifle and 3rd Club Team in smallbore rifle. Brandon and Amanda were individually named to the 1st Club All American Team for air rifle. Brandon was also named to the 1st Club All American Team for smallbore rifle. Tyler was named to the 2nd Club All American Team for smallbore rifle. These are outstanding accomplishments for the NDSU Rifle Club Team and its individual shooting members. 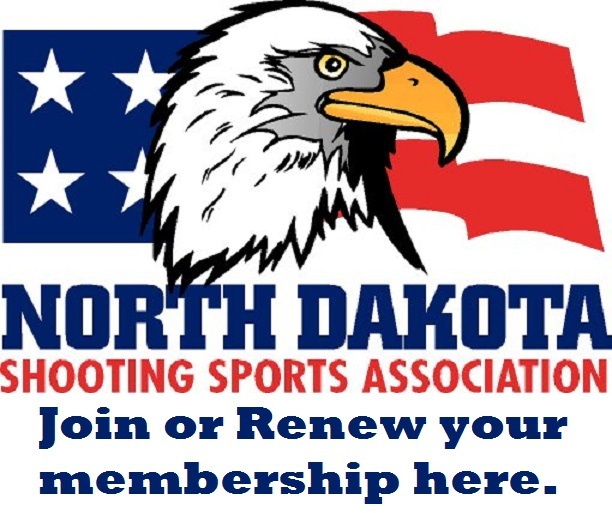 The team was coached by Mitchell Godbout of Casselton, ND with assistance by his son Brandon and Rick Jorgenson of the Lake Region Shooting Sports Association, Devils Lake, ND.